Competing with school, sports, video games and regular Troop activities is enough to challenge any parent or Scout leader. Introducing a Religious Emblem Program into the mix could feel like a daunting task. But it doesn’t have to be. Building a strong Religious Emblems program starts with the parents. The more parents and guardians know, the more they want their Scout participating in the programs. And the reason is simple – Catholic religious emblems reinforce and teach the faith in a way that compliments the family. Starting in Cub Scouts with Light of Christ and Parvuli Dei, the Scout and their family members learn the vocabulary to discuss faith and Church teachings. The Scout learns about Jesus and starts to envision themselves as part of a larger Church. Done as a family, these programs serve as both text book and faith activity director and put faith into practice for many families. Just as our faith isn’t just on Sunday, Scout Units that make Duty to God a regular part of scouting, find it easier to adopt and promote the emblem programs. 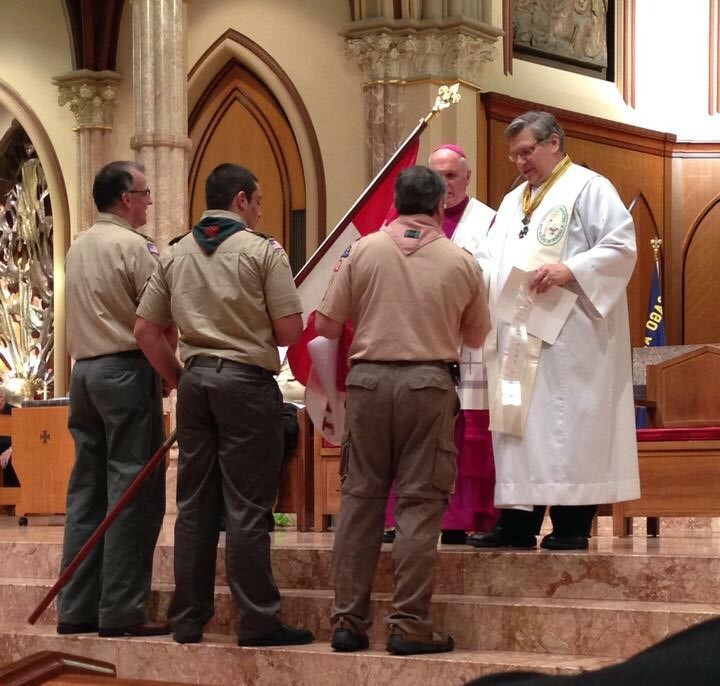 Leaders who combine the objectives of the Pope Paul VI Unit Excellence Award will find parents and Scouts who are open to faith activities as a natural part of Scouting. The Pope Paul VI Catholic Unit Excellence Award is an annual recognition that can be earned by Catholic Units. Those familiar with the Journey to Excellence Unit Award will find Pope Paul VI organized in much the same way. Now let’s discuss the leader positions necessary to promote and guide religious emblems – Coordinator, Counselor and Facilitator. 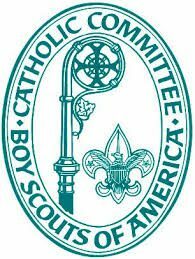 Coordinator – Cub Scout leader or parent responsible for guiding parents with the Light of Christ and Parvuli Dei emblems. These are both family-led activities. The coordinator does not work directly with the Scouts. Understanding the content of the programs is helpful to answer parent questions, and checking in to make sure families are working toward the deadline are important roles of the Coordinator. Pre-purchasing program booklets (about $5 ea.) in advance from a scout store and distributing at a Pack Night makes it that much easier for families to get started. Counselor – A trained leader for the Ad Altare Dei program. The Counselor helps the Scouts to get beyond a childhood understanding of their faith and into a greater experience of what it means to be a Christian. As part of the training Counselors learn to deal calmly with challenges to authority and to manage the often-inquisitive questioning of the youth. There is a separate Ad Altare Counselor booklet required to understand and guide the program content. Facilitator – For the Pope Pius XII program, the trained facilitator takes the backseat and, true to the value that Scouting should be Scout-led, the older Scouts lead the discussions. The Facilitator is the moderator and guide, there to keep things flowing. There is a required Pope Pius XII Counselor booklet required to run the program. We hope this provides you an understanding of how to structure your leadership and incorporate faith into Unit plans. Start the religious programs with enough time to complete the program without cramming at the last minute. Started 3-5 months before the presentation date is a good rule of thumb. Also build in time to schedule meetings with the pastor (Cub Scouts) and Board of Review dates (Boy Scouts/Venturing). Best Practices! Also promote the Religious Emblems to other Scouts in your parish and community who are not in a Catholic sponsored Unit. Place a notice in the church bulletin, use word of mouth, mention it at a Roundtable, or ask a neighboring Scoutmaster or Cubmaster if you could make a presentation at one of their meetings. As Jesus commanded “Go Out into the World!” And don’t forget to use the Pope Paul VI Unit Excellence Award as a guide to put the Catholic in your Catholic Unit! How does your Unit promote and facilitate the Religious Emblems Programs? We appreciate your comments below.